Stonington, CT is is a charming seaside town has much to offer in the way of things to see and do. Visit the Old Lighthouse Museum and learn about the maritime and agricultural history of Stonington, enjoy a picnic on the family-friendly Dubois Beach and stroll around the Stonington Farmers Market. Stonington Vineyards is a family-owned and operated wine estate on the Connecticut Wine Trail that produces a range of easy drinking wines in a spectacular setting. Established by Nick and Happy Smith in 1987, the winery is best known for producing barrel-fermented Chardonnay, Riesling and Cabernet Franc, and proprietary blends of Seaport White and Triad Rosé. Stonington Vineyards produce 6,000-7000 cases per year, the majority of which can be sampled and purchased in the modern tasting room, which is open all year round. Stonington Vineyards offers wine tastings daily, group tastings, and guided tours of the estate and winery, as well as hosts special events and functions throughout the year. 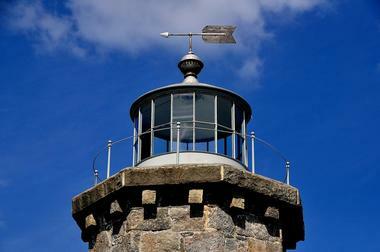 The Old Lighthouse Museum is dedicated to sharing the history of the modest stone citadel, which has stood at the entrance to the harbor of Stonington for the past 170 years. Performing the valuable service of guiding ships across treacherous Fishers Island Sound, the beautifully preserved building is now regarded fondly as an enduring symbol of a maritime past and is open to the public as a museum. Built in 1840, the tower boasts fanciful stonework, with ornamental cornices around the tower, heavy granite lintels above the windows and doorways, and a gabled roof. Managed by the Stonington Historical Society, the Old Lighthouse Museum features interesting exhibits of artifacts, objects, and photographs, documenting the maritime and agricultural history of Stonington and the critical role the lighthouse played in it. Visitors may climb the 29 circular steps and a short ladder to reach the top of the tower, which boasts stunning panoramic views across three states and enjoy picnics on the grassy lighthouse grounds. Saltwater Farm Vineyard is a locally owned and operated wine farm in Stonington that produces a portfolio of small-production, estate-based wines including Sauvignon Blanc, Chardonnay, Rose, and Cabernet Franc that have a distinct flavor taken from the tidal marshes of Wequetequock Cove surrounding the estate. Visitors to the Saltwater Farm Vineyard can enjoy a variety of local musicians while sampling the wines from the estate, along with freshly shucked oysters from Mystic Oyster Co. and local cheeses and crackers. One of New England's most scenic and secluded little beaches, Dubois Beach is a family-friendly beach located at the tip of picturesque Stonington that offers an ideal place for swimming, beachcombing, crabbing, and picnicking. The small beach has 265 feet of frontage on Long Island Sound with shallow water depths which are great for small children and gentle waves, along with an on-site pavilion with a shaded gazebo. Facilities at the beach include a portable toilet, benches, a wooden pergola, and a water fountain and lifeguards are on hand during the summer season. The clean, family-oriented sandy beach has plenty of parking at the Stonington Point lot at the end of Water Street. Beer'd Brewing Company is a locally owned and operated microbrewery that produces small production, craft, and experimental brews. Housed inside the American Velvet Mill on Bayview Avenue, the 217-gallon, seven-barrel brewhouse produces a range of easy-drinking beers, including New England Style IPA, India Pale Ales, Imperial Stouts, Double IPA, Trappist Ales, and several limited releases. Complimentary tastes of each of the brewery’s available brands are offered at the tasting room, along with growler fills with 64 and 32 oz varieties for takeaway sales. The tasting room has ample seating, and on-site beverage service and visitors are allowed to bring their snacks and food. The Captain Nathaniel B. Palmer House is a historic house museum in Stonington that was once the home of pioneering Antarctic explorer and clipper ship designer, Nathaniel Brown Palmer (1799–1877). Built in 1852 in a blend of Greek revival and Victorian Italianate, the National Historic Landmark operates as a museum and is managed by the Stonington Historical Society. Visitors to the museum can explore the 16-room Victorian mansion which features a model of Palmer’s forty-seven-foot sailboat Hero, on which he discovered the Antarctic Peninsula, along with numerous other model ships, dollhouses, and period textiles. There are also exhibits documenting local historical interest and the history of Stonington. The Stonington Farmers Market is a community market held on Saturday mornings on the town dock in Stonington that attracts both residents and visitors from surrounding communities who come to buy fresh, healthy, local food and produce. The market sells a wide variety of goods, including locally grown fruits and vegetables, fresh meat, chicken, pork, and seafood caught off the dock. Other farm-fresh items range from eggs, cheese, milk and flowers to freshly baked bread, pies, and sweet treats, homemade jams, maple syrup, Italian ices, and local honey. Prepared and handmade fare include soups and stews, homemade pesto, and salsa, and hearty pot pies. The market also offers hand-made items such as pottery, printed fabrics and scarves, molded beeswax candles, wooden bowls, jewelry, soaps, and painted signs. Enders Island is an 11-acre island just off the coast of Mason's Island in Mystic. Located in the Fisher's Island Sound at the base of the Mystic River, the island is connected to the neighboring Mason's Island by a causeway and features beautiful walking gardens and several historic sites. The island is home to Enders House, an early 20th century arts and crafts style mansion, an outdoor Stations of the Cross, a charming little Seaside Chapel, and the Catholic Chapel of Our Lady of the Assumption, which is famous for being the resting place of the incorrupt arm of St. Edmund of Canterbury (1175–1240). Grand & Water Antiques is a charming antique store in the heart of Stonington that has been buying and selling antiques and objects d’art for more than two decades. Owned by Deborah Norman, who has an American History degree, the store was opened in 1994 following in the footsteps of her great grandmother, Ada Chase, wrote for The Magazine Antiques in the 1920s, and her grandmother, Virginia Albertine, who bought and sold antiques for decades at her Norwich shop. The quaint store sells a wide variety of period pieces, antiques and artworks, furniture, home décor objects, and jewelry. The Maurice C. La Grua Center, also known simply as the La Grua Center, is a small community cultural center that hosts a wide variety of events and functions, ranging from art exhibitions, lecture and concerts to symposiums, and musical recitals. Founded in 2007, the venue aims to engage the community through arts and culture in an intimate historical space. The venue features an intimate, acoustically distinctive space flooded with natural light and vaulted ceilings that make it ideal for performances and concerts. La Grua Center is also a stunning venue for special celebrations, classes, meetings, and other community activities. Yali is a small boutique in Stonington that sells a range of unique bath and home textiles that are imported from Turkey, along with various textiles and tabletop items from Morocco and India. The store works directly families in Turkey who still use antique shuttle looms to weave traditional Turkish loopy towels and pestemals by hand. Made from GOTS certified organic cotton, pestemals are flat woven towels that were originally used in the Turkish hammams and baths and are used as regular towels, shawls, sarongs, and tablecloths today. The store also sells a variety of beautiful items from India and Morocco for the home. Coastline Surf & Paddle offer a variety of outdoor, ocean-related services such as surfing and stand-up paddle boarding lessons, rental and sales of surfboards, wetsuits, and fins, stand-up paddleboards, and guided tours of the local waterways. Located at Don’s Dock Marina in Stonington, Coastline Surf & Paddle offer private surfing and stand-up paddle boarding lessons for one or two people, as well as group lessons for up to six people. Lessons include all equipment and are conducted by professional instructors with years of experience. Paddleboarding tours of Stonington Harbor take up to 90 minutes and include 30 minutes of basic instruction before setting off. The Dog Watch Café is a charming dog-friendly, harborside eatery that specializes in fresh seafood, baked flatbreads and gourmet sandwiches served in a relaxed setting. 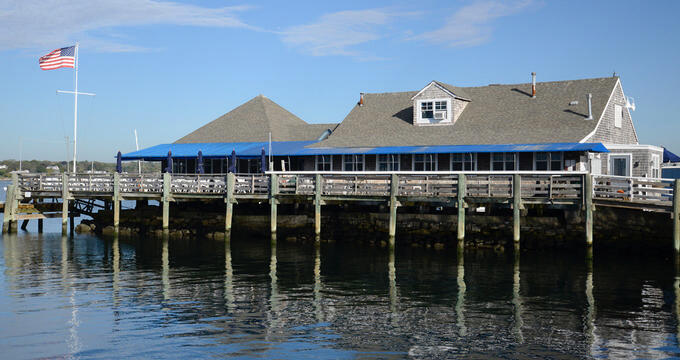 The restaurant features an outdoor deck and dockside bar overlooking the waters of Stonington Harbor and offers the perfect spot to enjoy lunch while watching the comings and goings of the bustling seaport. 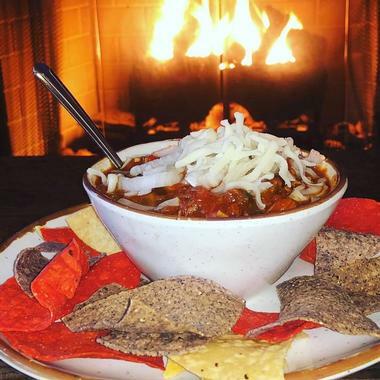 The restaurant serves a menu of fresh fare prepared from scratch with fresh, locally sourced ingredients from regional vendors, as well as sells a variety of Good Dog apparel and merchandise for owners and favorite four-legged friends. The Dog Watch Café is open for lunch and dinner, seven days a week. 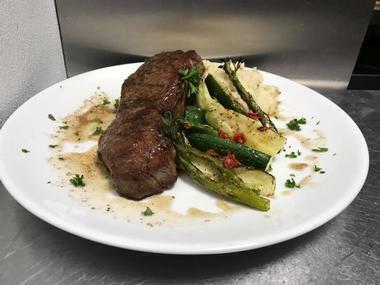 Noah's Restaurant is a casual chef-owned and operated restaurant in the heart of historic Stonington that serves New England comfort fare in a charming colonial-style space with a mahogany bar, cherry booths, tin ceilings, and paddle fans. 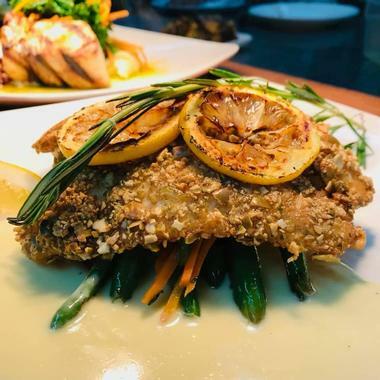 The cozy, 75-seat fine dining restaurant serves a menu of innovative fare prepared with fresh, locally sourced ingredients, such as local seafood, grass-fed prime meats, local herbs and vegetables, and handmade sauces. The acclaimed cuisine is accompanied by an extensive list of libations, including fine wines from around the world, craft beers and signature cocktails. The restaurant, which is one of the oldest operating restaurants in Stonington, is open for breakfast, lunch, and dinner, seven days a week. The Water Street Café is a casual eatery with a beautiful mahogany bar that offers an inviting spot for locals and visitors to gather to enjoy a creative menu of delicious cuisine and drinks in a relaxed setting. Nestled in the center of Stonington, the eatery features a popular Oyster Bar serving freshly shucked oysters and other seafood delights, along with a simple and fresh New American menu of Pacific NW cuisine with Italian influences prepared with fresh-caught seafood, farm-grown produce and quality meats from local and organic farmers. The menu also features gluten-free and vegetarian choices, and delectable desserts are house-made and freshly baked daily. The Water Street Café is open for dinner only, Monday through Sunday and serves a classic Sunday brunch with seasonal specials and lunch dishes. The Stonington Pizza Palace is a cozy family-owned and operated eatery that serves delicious pizza, pasta, fresh-caught seafood and a range of unique Greek dishes in a warm and welcoming atmosphere. Owned by Angelo and Agathi Koukoularis, who opened the restaurant in 1986, Stonington Pizza Palace has grown from a small pie parlor to an elegant, family-friendly restaurant with an expanded menu with weekly specials. 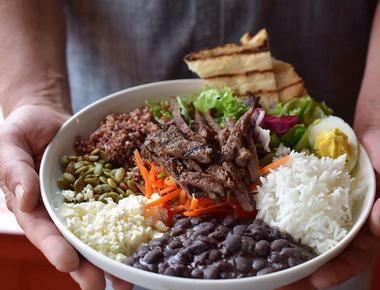 The menu boasts hand-tossed pizzas, calzones, and pasta dishes, fresh salads and seafood dishes, and traditional Greek foods such as gyros and baklava. The food is accompanied by a range of casual beers and wines from the region, and the restaurant is open for lunch and dinner, seven days a week.